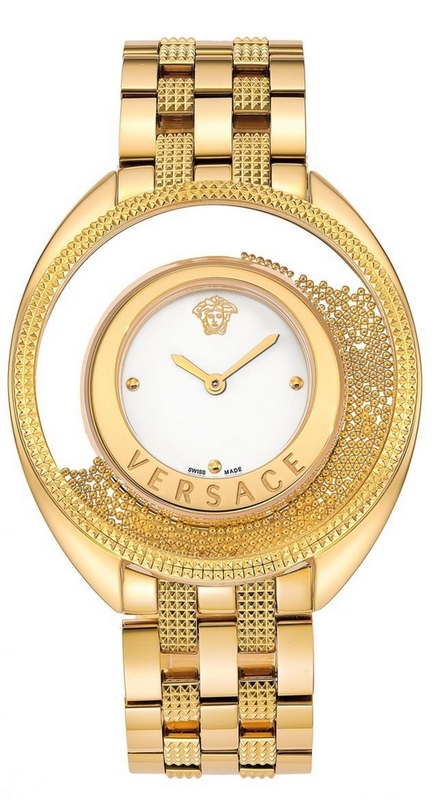 Lady VERSACE watch from A collection DESTINY SPIRIT. SAPPHIRE CRYSTAL. BALLS ON THE SIDE OF BALL THAT IS MOVING WITH THE MOVEMENT. SWISS MADE.